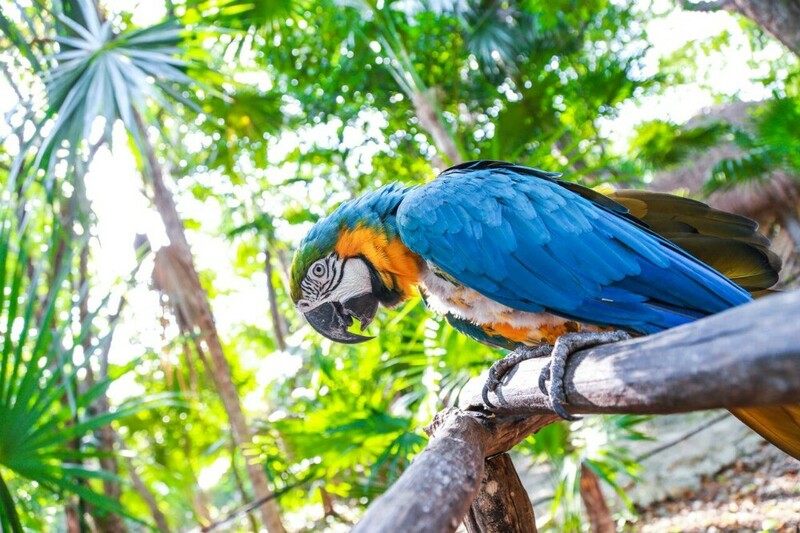 It’s no secret that at Sandos Caracol Eco Resort, we’re more than a little obsessed with animals. We have large areas of completely natural jungle and mangrove, home to big communities of animals indigenous to the Riviera Maya region, and during your vacation here you’re sure to see many critters like coatis, iguanas, raccoons and even spider monkeys, all of which live freely here at Sandos Caracol. What many don’t know until they get to the hotel is that we’re also dedicated to the rescue of animals from bad situations. At the beginning we just had our donkeys, some peacocks and the Mexican hairless (xoloitzcuintle) dogs, but now our rescue animal community has grown so big that we have our very own Mini Farm! 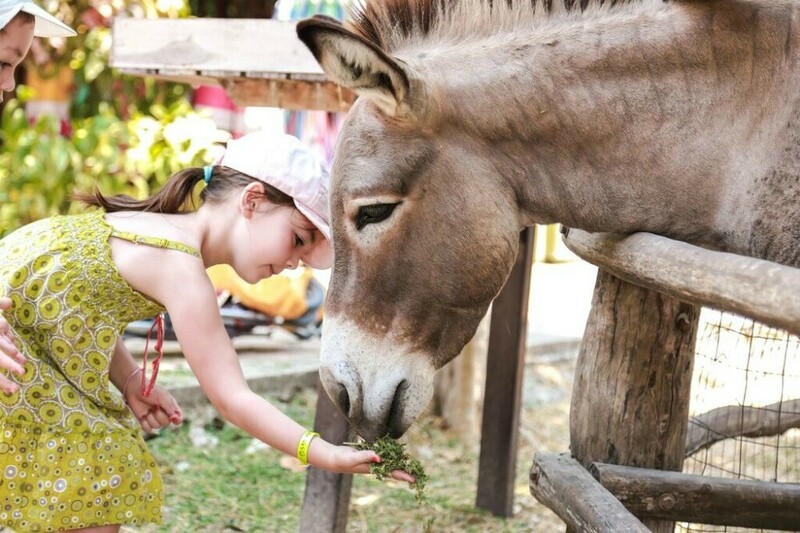 The stars of the Mini Farm are still our donkeys Pepe and Lupe, and they love to get visitors, so don’t hesitate to stop by to see them during your stay at Sandos Caracol. We also have a family of bunny rabbits, a group of goats, the peacocks, the Mexican hairless dogs, and a few roosters and hens. Our two pigs Coco and Sandy have also found true happiness here in the Riviera Maya. We rescued them from a live Christmas nativity scene once their future was in danger after the Christmas season was over. (You can read their story here.) When they got here they were just mini pigs, but now they’ve grown and they’re huge! 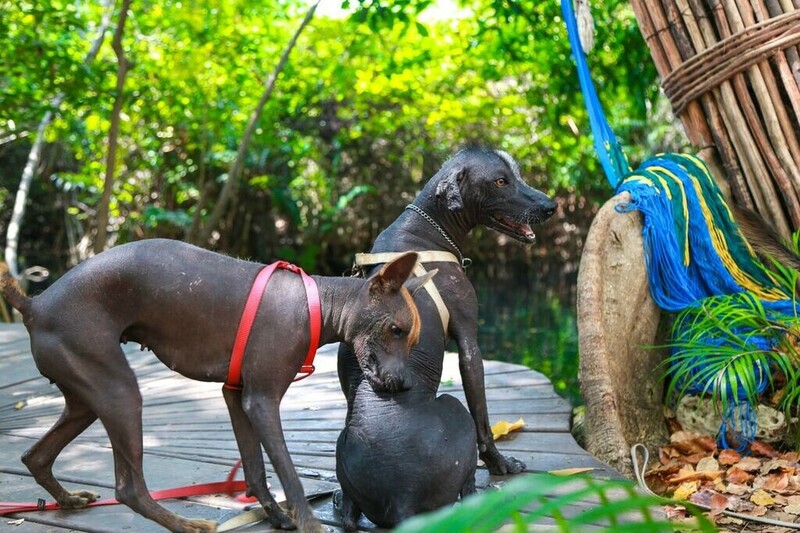 Today, their among the most spoiled animals at the Mini Farm; they have their own Jacuzzi, and Coco loves to go out with our eco manager Alex to swim in the Cenote Cristalino. For those of you who want to learn even more about how the Sandos Caracol team cares for our beloved animals, every day we organize a very special activity called “Animal Keeper”. On this tour, we teach you how we care for and feed the different animals, and you’ll have the chance to interact with them more closely. This activity is especially fun for the kids! For more information, you can approach our InfoCenter in the sports bar area to reserve your spot. But our Mini Farm isn’t our only contribution to the animal kingdom at Sandos Caracol. We also have a reproduction program for endangered species: the macaws and the white-tailed deer. When you come to visit our Riviera Maya resort, you’ll find habitats designed especially for these beautiful species. Plus, we also have an extensive on-site plant nursery to support local flora; we specialize in tree and plant species that are indigenous to the region in order to help reforest the jungles of Playa del Carmen, Mexico. 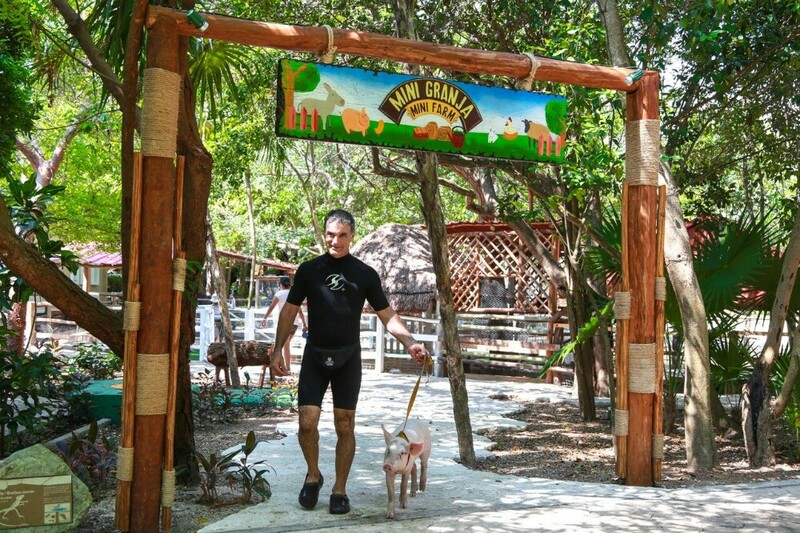 So next time you’re vacationing at Sandos Caracol Eco Resort, don’t forget to visit our Mini Farm, located by the lobby and the main cenote. For an even more memorable experience, make sure to participate in our “Animal Keeper” activity, available every day. We hope to see you very, very soon at Sandos Caracol to enjoy the incredible natural setting and hear the stories of all our rescue animals!